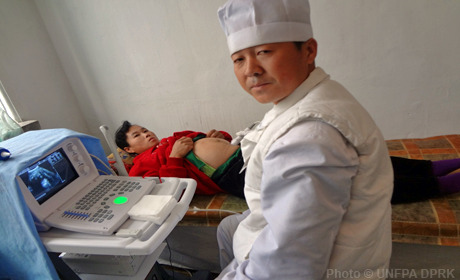 The lack of essential supplies, equipment, and skills are among the barriers to achieve full universal access to quality reproductive health services in DPRK. UNFPA support, which began in 1985, has made essential contributions by supporting training and family planning and providing life-saving medicines and equipment. Current programmes aim to sharpen expertise in data analysis and population studies to inform policy development – on ageing for example – implement reproductive health care standards, and provide critical supplies, equipment and training.